Hour #1 Guests: Jen O’Hara - is the co-founder and CEO of the successful apparel company, Girls with Guns®. 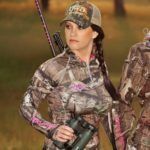 Jen is also the co-host of the TV show "Girls with Guns® TV" and is both spirited and passionate about conservation and hunting. We are going to be talking about the new surge of women taking part in the sport of hunting. 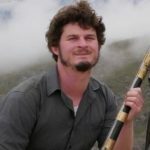 Miles Vining - is a writer and videographer, for The Firearms Blog. Additionally, Miles is a researcher that focuses on small arms design, use, and and trade within the Middle East, North Africa, and Central Asian regions. Miles graduated with a degree in Central Eurasian Studies from Indiana University, previously worked in Kabul at the U.S. Embassy as well as starting up a YouTube Channel with a local company called TechTV Afghanistan. Jenny Williams - is the founder of The Liberty Belles Women’s Gun Club in Indiana which offers ladies a welcoming, safe environment to be able to learn about well researched information in regards to shooting (pistol, rifle, or shotgun) and many other forms of self protection. Jenny Williams is the founder of The Liberty Belles Women’s Gun Club in Indiana. Jen O’Hara – is the co-founder and CEO of the successful apparel company, Girls with Guns®. Jen is also the co-host of the TV show “Girls with Guns® TV” and is the Executive Director of Kids Outdoor Sports Camp. She is both spirited and passionate about conservation and hunting. We are going to be talking about the new surge of women taking part in the sport of hunting. Miles Vining – is a writer and videographer, for The Firearms Blog and founder of The Silah Report. Additionally, Miles is a researcher that focuses on small arms design, use, and and trade within the Middle East, North Africa, and Central Asian regions. Miles graduated with a degree in Central Eurasian Studies from Indiana University, previously worked in Kabul at the U.S. Embassy as well as starting up a YouTube Channel with a local company called TechTV Afghanistan. 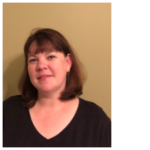 Jenny Williams – is the founder of The Liberty Belles Women’s Gun Club in Indiana which offers ladies a welcoming, safe environment to be able to learn about well researched information in regards to shooting (pistol, rifle, or shotgun) and many other forms of self protection. Aki Stant is the Director of Legal Services & Senior Attorney, overseeing all Never Again Foundation legal representation. Through his work, Aki provides victim representation in criminal court, and represents homicide victims in civil and probate lawsuits to keep killers from profiting from murder. Ashley Drew is the Community Impact Director of the Never Again Foundation. 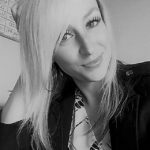 Ashley works closely with victims’ families to create victim impact statements and media releases, in addition to securing grants and sponsorships to build community partnerships to provide FREE legal services to victims of domestic violence. 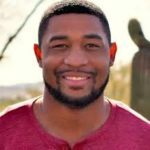 Brandon Tatum – is the Director of Urban Engagement at Turning Point USA, CEO/Founder/Owner at Tatum Motivation. 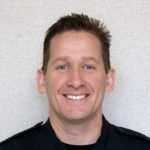 Brandon is a former Tucson Police Officer, and has built an avid media following due to his dynamic personality, authentic message, and his natural ability to relate to the everyday American. Share the post "GunFreedomRadio EP127 One Generation Away, Originally Aired on 9.15.18"